The Federal Deposit Insurance Corporation is an independent federal agency created in 1933 to promote public confidence and stability in the nation's banking system. The FDIC is often appointed as receiver for failed banks. 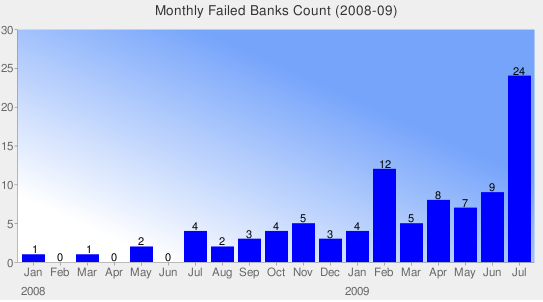 What is a bank failure? A bank failure is the closing of a bank by a federal or state banking regulatory agency. Generally, a bank is closed when it is unable to meet its obligations to depositors and others. This brochure deals with the failure of "insured banks." The term "insured bank" means a bank insured by FDIC, including banks chartered by the federal government as well as most banks chartered by the state governments. An insured bank must display an official FDIC sign at each teller window. What is FDIC's role in a bank failure? In the event of a bank failure, the FDIC acts in two capacities. First, as the insurer of the bank's deposits, the FDIC pays insurance to the depositors up to the insurance limit. Second, the FDIC, as the "Receiver" of the failed bank, assumes the task of selling/collecting the assets of the failed bank and settling its debts, including claims for deposits in excess of the insured limit. What is the purpose of FDIC deposit insurance? The FDIC protects depositors' funds in the unlikely event of the financial failure of their bank or savings institution. FDIC deposit insurance covers the balance of each depositor's account, dollar-for-dollar, up to the insurance limit, including principal and any accrued interest through the date of the insured bank's closing. What is the FDIC insurance amount? Who does the FDIC insure? Any person or entity can have FDIC insurance on a deposit. A depositor does not have to be a citizen, or even a resident of the United States. FDIC insurance only protects depositors, although some depositors may also be creditors or shareholders of an insured bank. What does FDIC deposit insurance cover? FDIC insurance covers deposits received at an insured bank. Types of deposit products include checking, NOW, and savings accounts, money market deposit accounts (MMDA), and time deposits such as certificates of deposit (CDs). What is the source of funding used by the FDIC to pay insured depositors of a failed bank? The FDIC's deposit insurance fund consists of premiums already paid by insured banks and interest earnings on its investment portfolio of U.S. Treasury securities. No federal or state tax revenues are involved. How am I notified when my bank has been closed? The FDIC notifies each depositor in writing using the depositor's address on record with the bank. This notification is mailed immediately after the bank closes. When the failed bank is acquired by another bank; the assuming bank also notifies the depositors. This notification usually is mailed with the first bank statement after the assumption. * The Cost to DIF of $2.5 billion for "California National Bank" failed on 30th October,2009 is the total cost for all the 9 banks failed on that.